Another odd month in the tracker: in practical terms, very little has happened, despite all the activity. 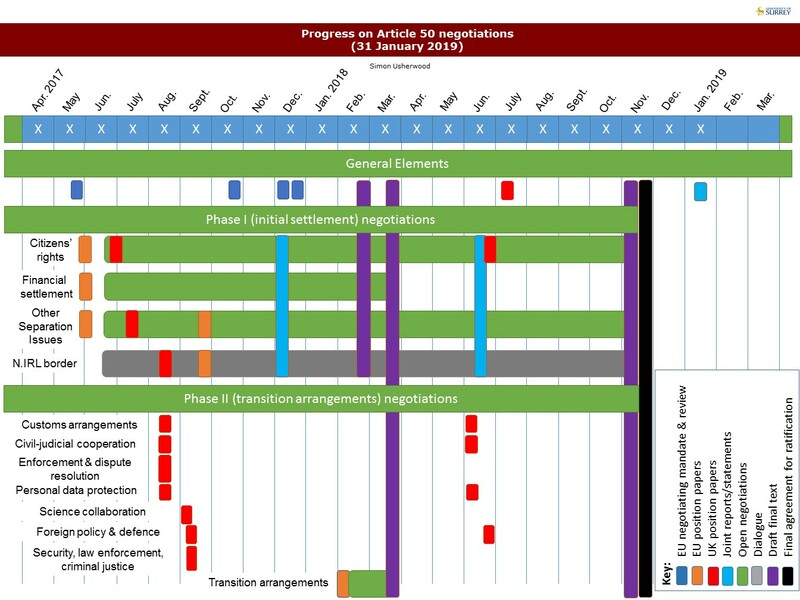 The problem remains as it did in December (and November): a deep discomfort in Parliament about the Withdrawal Agreement, but no consensus about how to deal with that, either internally or in coordination with the EU. 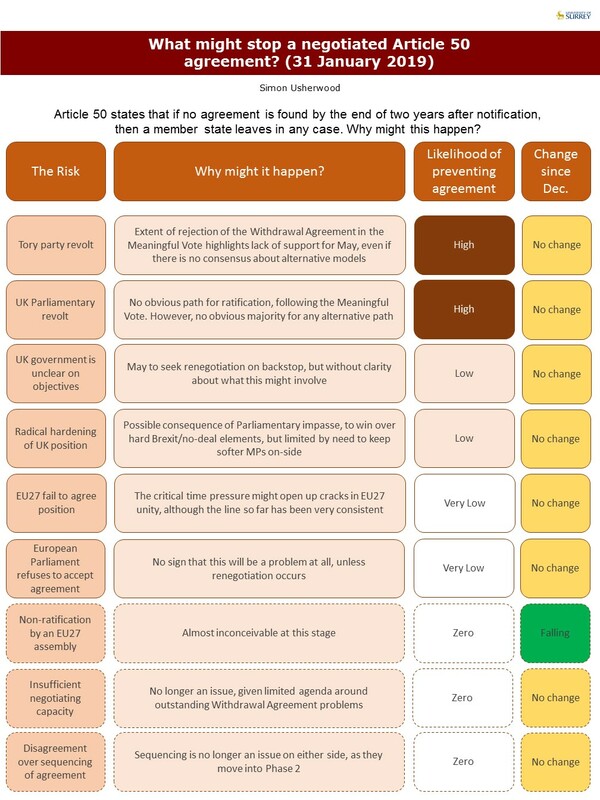 If only as a function of time, this raises the likelihood of a no-deal outcome, to the extent that I’d now consider that questions of a technical extension are going to become live issues, given the need to pass multiple pieces of legislation to underpin the Agreement. Typically, this is where I’d sign off with a comment about it being crunch time, but I’d not be surprised if it was only in March that significant movement came, since neither the UK nor the EU look like giving ground just yet. 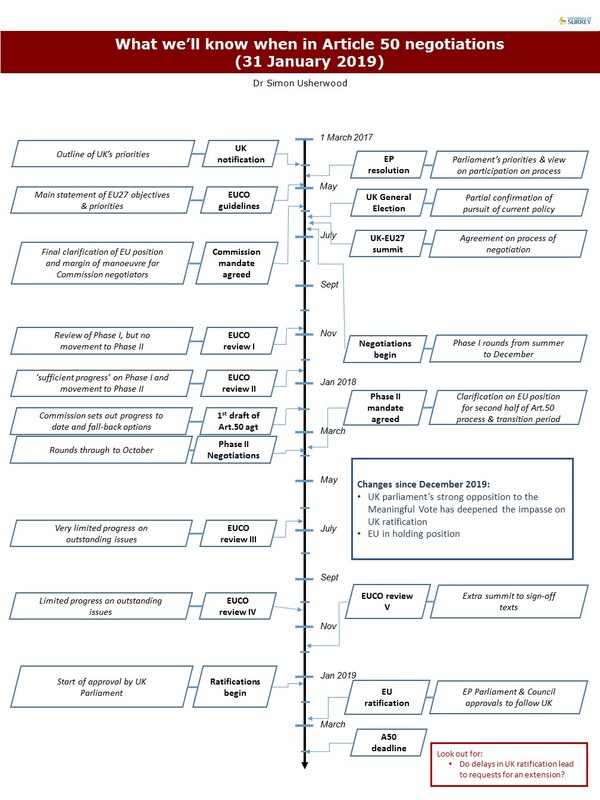 PDF versions: A50 progress Jan 19: A50 barriers Jan 19; A50 timeline Jan 19.